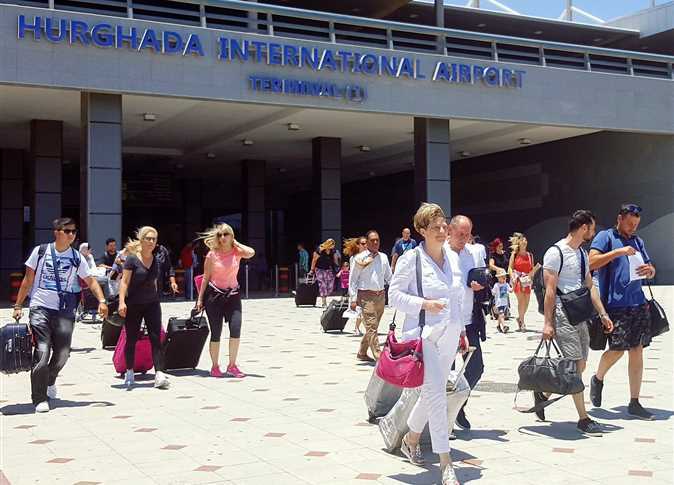 A committee of Russian security experts will inspect security procedures at the Red Sea’s Hurghada International Airport, as part of Russia’s measures to prepare resumption of direct and charter flights to the city, airport sources said on Saturday. The sources said that the Russian Foreign Ministry sent a letter with the committee’s date of arrival, days after the meeting of Russian Foreign Minister Sergei Lavrov with Egyptian President Abdel Fattah al-Sisi and Foreign Minister Sameh Shoukry to discuss resuming flights to Hurghada. The sources added that the committee will continue its work until Friday. The committee’s work includes follow-up on procedures to secure luggage and passengers in travel and arrival halls and ensure security personnel are present in the places assigned to them, especially baggage loading areas, the sources explained. The committee shall also inspect all workers assigned to work inside and outside the aircraft, alongside inspection of licenses for cars within the airstrip. The sources explained that this visit comes as part of the Russian authorities’ procedures in preparation for issuing the final report on the resumption of Russian flights to Egypt, and presenting the results of the report to Russian President Vladimir Putin. Russian flights to Egypt were suspended following the downing of a Russian aircraft in Sinai on its way from Sharm el-Sheikh to St. Petersburg on October 31, 2015. The incident claimed the lives of all 224 passengers and crew-members onboard. Russia’s Federal Security Service (FSB) later designated the incident as a terrorist attack. Russian tourists held the lion’s share of tourism in Red Sea pearls Sharm el-Sheikh and Hurghada, until the decision to suspend flights. On April 11 of last year, Russia’s largest airliner Aeroflot resumed flights to Cairo. Tourism revenues make up 11.5 percent of the total GDP of Egypt, according to the Ministry of Tourism, and it is estimated the suspension cost Egypt’s tourism industry US$4 million per day.